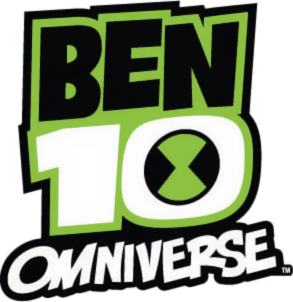 The Fourth iteration of the Ben 10 franchise following Ultimate Alien. The Ultimatrix is gone and the real Omnitrix is in. It's slated to include 10 new aliens plus many more. There is no confirmed plot for this series yet, but many speculate that the story will go forwards and focus back to the past as well. Art Shift: Much more noticeable than the Ben 10 to Alien Force shift. Take a Look. Ben and the gang aren't the only affected ones. Spidermonkey has a new design as well here. 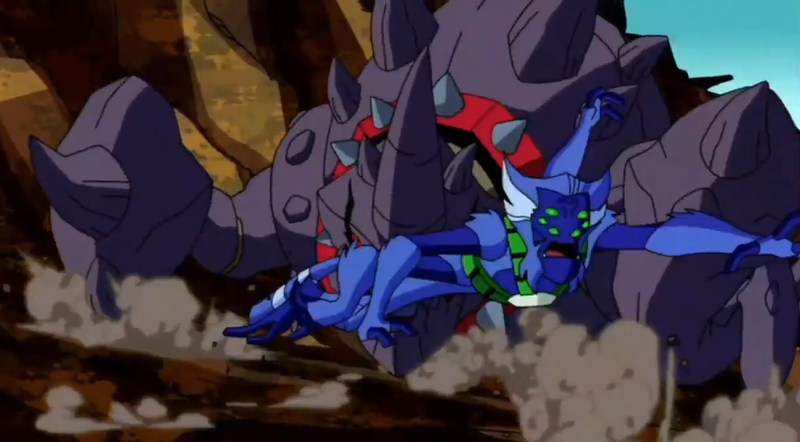 In the case of Spidermonkey, it likely has to do with the new Omnitrix. Badass Normal: Seems to be the intention with Rook, who, while an alien, will rely on technology and weaponry to fight. Gonk: Thanks to the simplified art style, Kevin has become one, much to the chagrin of his fangirls. Lighter and Softer: Seems to be the case, as, according to the creators, there's a certain emphasis on making it somewhat closer to the original series. Monster Clown: Zombozo is back. Time Travel: It's very speculated. This page was last edited on 14 September 2018, at 11:13.